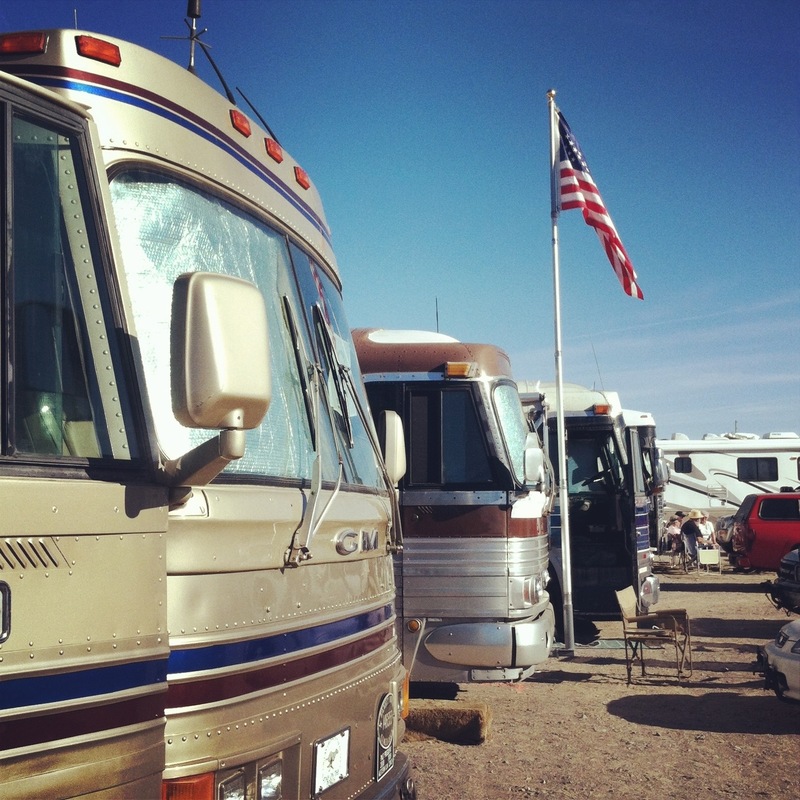 Quartzsite Arizona is a sea of RV’s, buses, motor coaches, campers, and tents. In fact, along the service road off Interstate 10 and Hwy 95 is a make shift tent city with barbers, food venders, gemstones, jewelry, grocery, trinkets, crafts, car show, RV show and Bus Rally. A great stop over for us and we look forward to joining in on many more Bus Rally’s down the line.